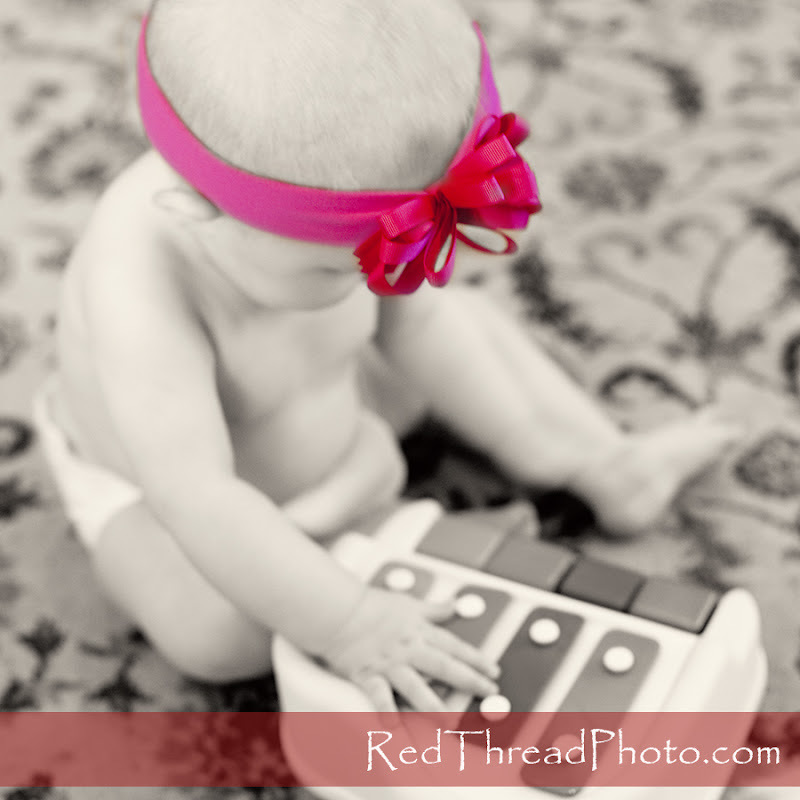 Alright, so every photo session is technically a "Red Thread Story". That Red Thread connects me to people I've never met before, and we walk away realizing our connection (and being friends!) 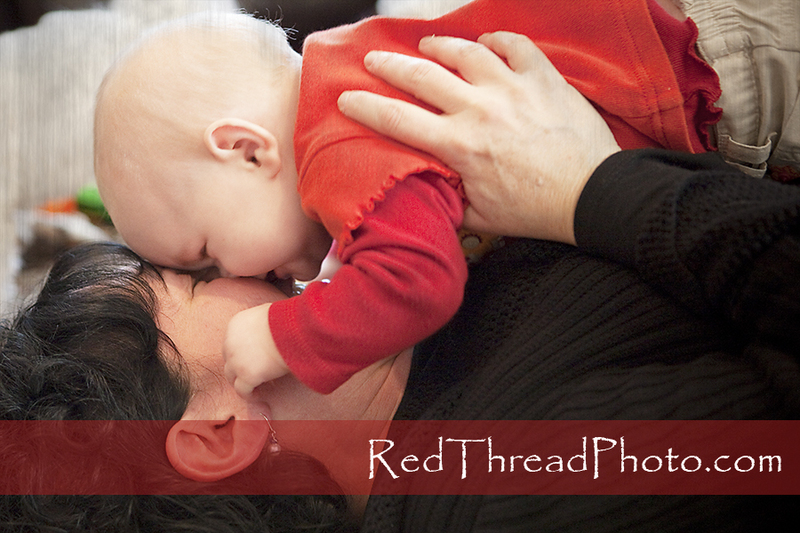 But the Red Thread story is one held very dear on the adoption front. 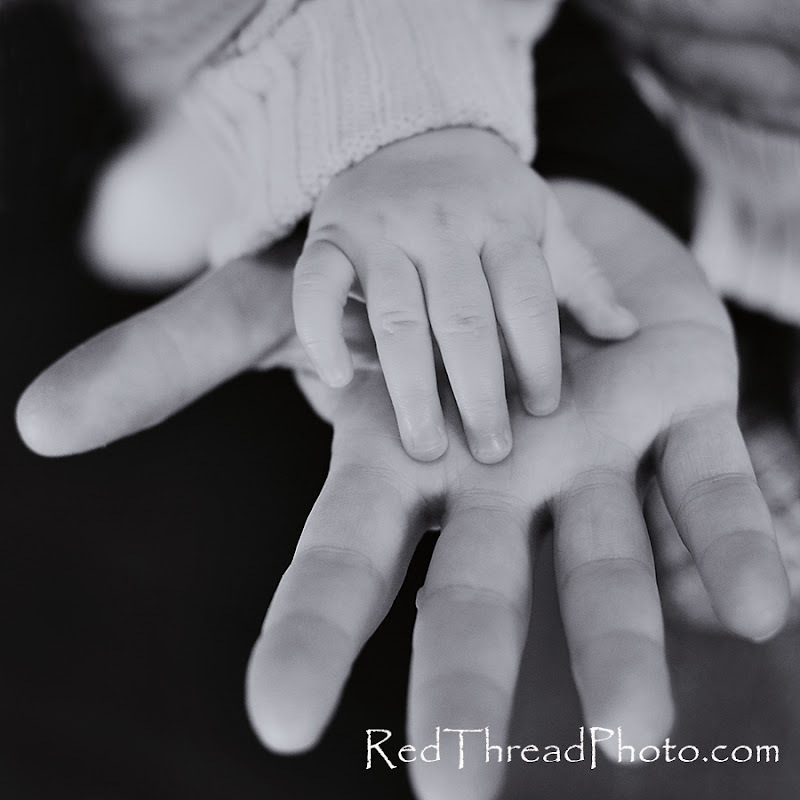 To desperately want a child and believe that there is already a Red Thread connecting child to parent (even if we can't yet see it), gives many a beautiful metaphor for how they feel about the adoption process. 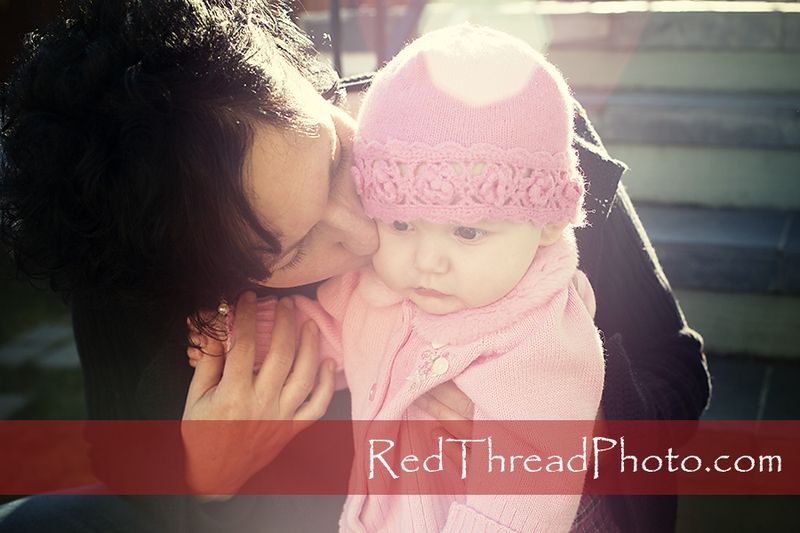 I had the privilege of photographing this piece of sweetness - Elliana - and her Mom the other day, and they have a great Red Thread Story!! To watch them together, you can tell they were made for one another. 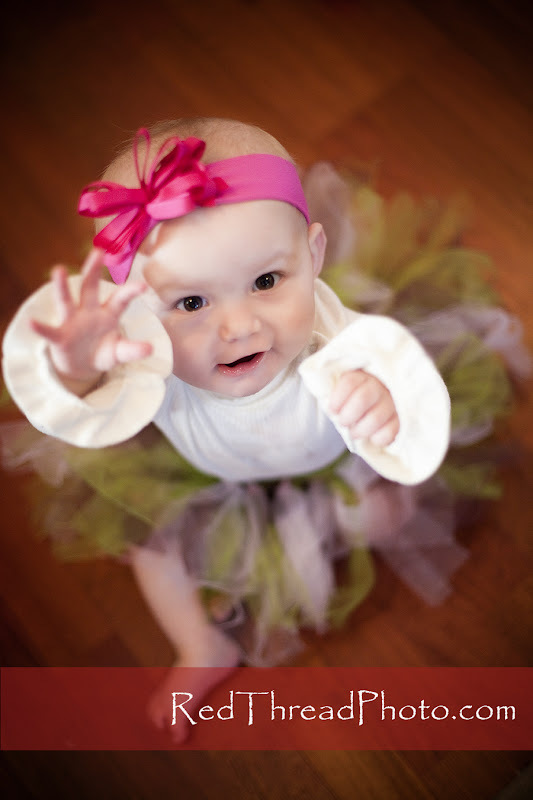 In fact, Mom even said it was like God knew that Elliana was to be hers and she was to be Elliana's. I could not agree more!! 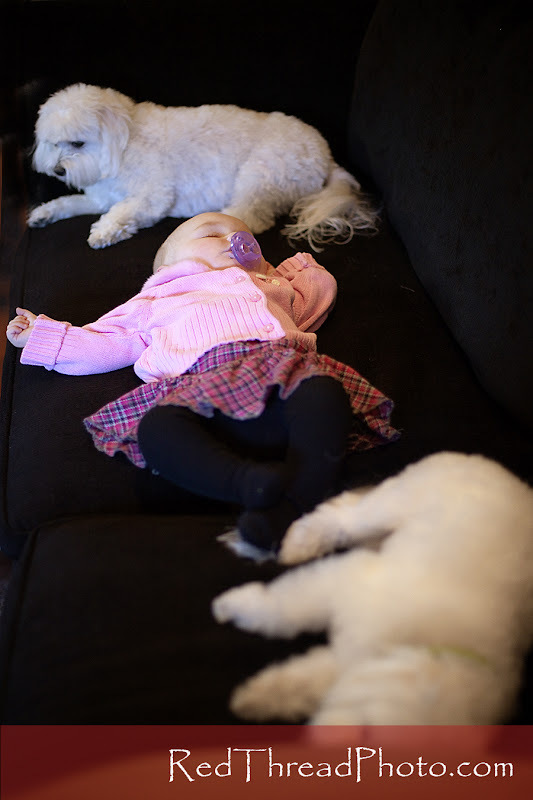 So Ellilana has a couple of "brothers" that we had to capture with her. 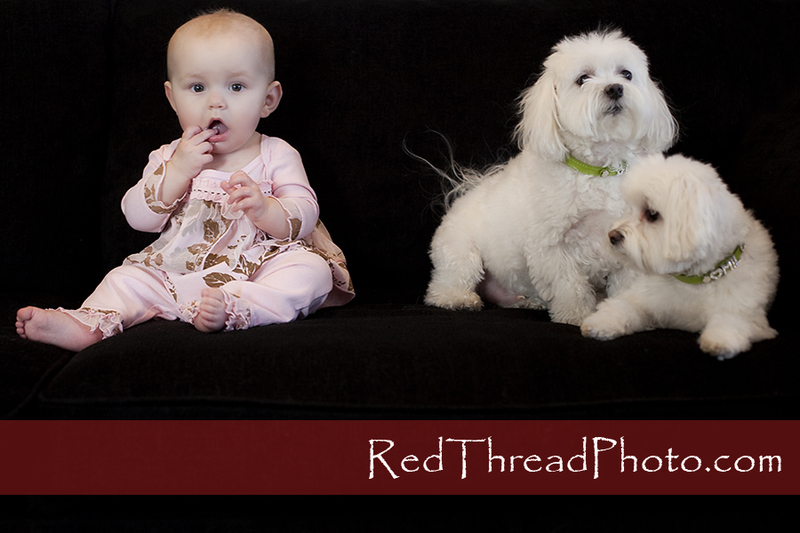 I'm not sure what they think of her quite yet...as those little hands like to grab soft fur and love on snugly puppies!! 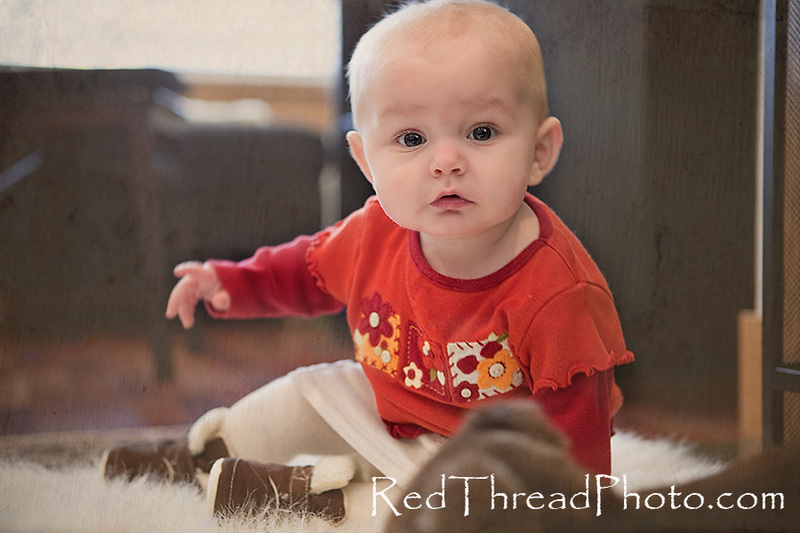 But I'm sure as they grow they will tumble and roll and play all around the house. 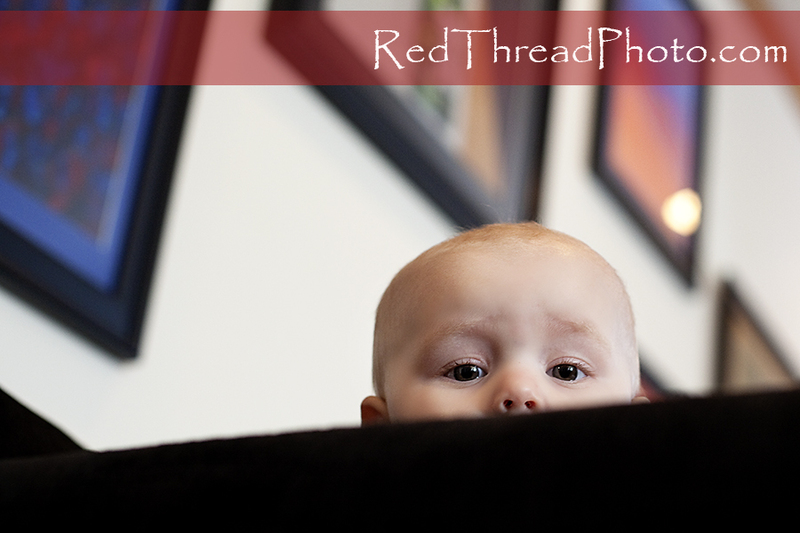 LOVE, LOVE, LOVE playing peek-a-boo with little ones!! And even though you can't see it well, all that art work on the wall behind her is done by Mom!! She framed these beautiful, colorful pieces because she wanted to honor the work she had done. Yeah!! I wish more women would see it that way! Of course, I maintain that the best playing is done in Mom's arms! 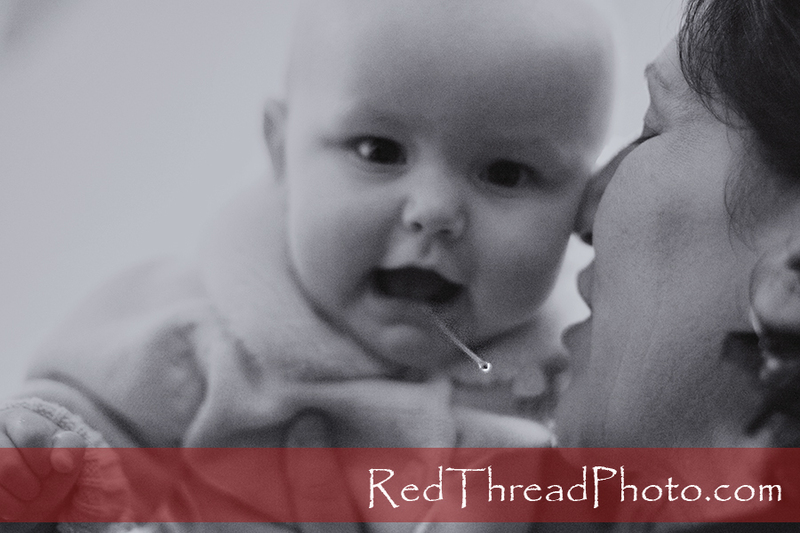 OK...so it won't be the holiday card picture, but I love how my camera caught one of the most major things of babyhood....drool!!!! We were winding down...getting a little tired, so we thought we'd try a few outside. Do you know what that is behind them??? Yes...it is the sun!! (For all you in the Seattle area, I know you are amazed at this sight in December!!) It was a beautiful sunny - but very chilly day. We had to bundle up well to stay warm. 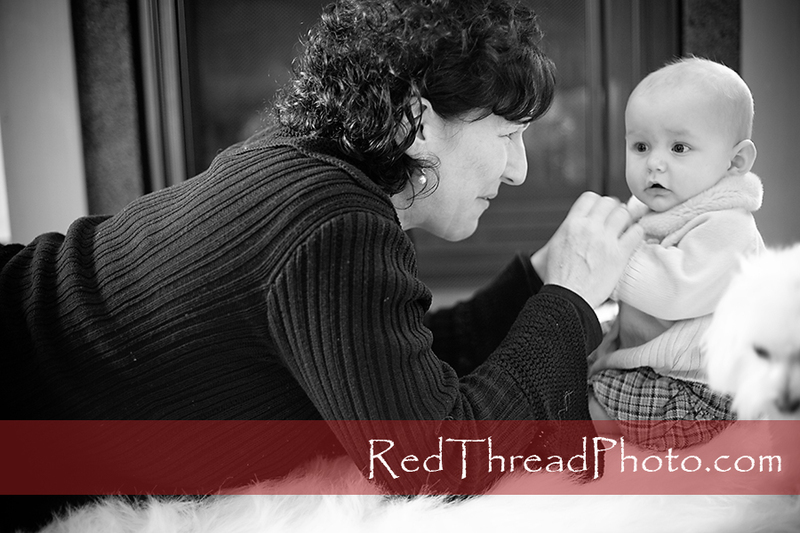 What a privilege to photograph this Red Thread story!! 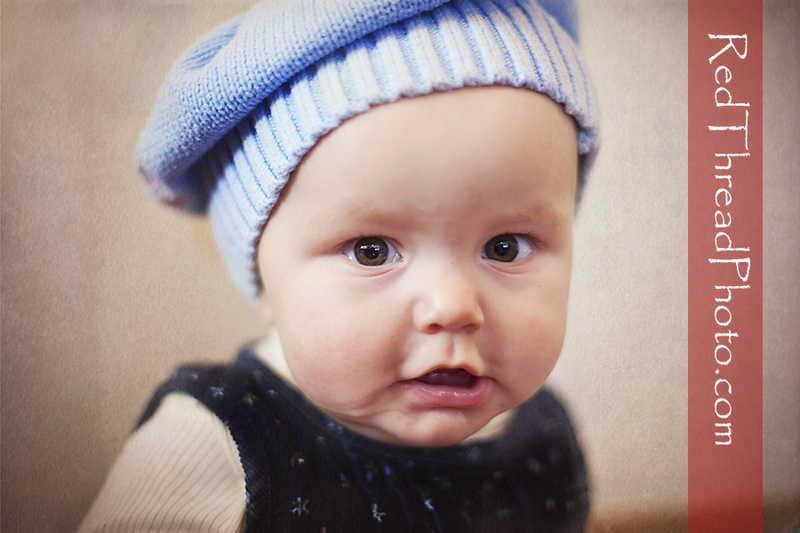 I am hoping to be there for the official adoption at the courthouse in a few weeks!! 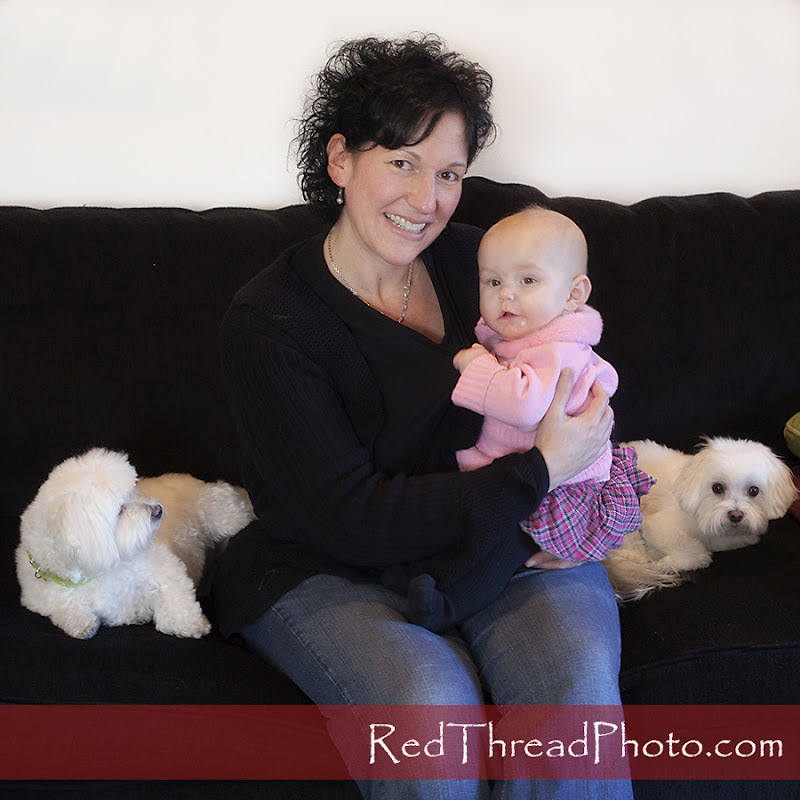 Not only did I get to hear their Red Thread connection, but I feel like I made some new Red Thread friends as well!! Thank you, H Family!!! Thank you so much for catching the beautiful connection on film between my niece and my great niece. It warmed my heart so many miles away in snow bound Pennsylvania to see their love.